I was at my Discogs.com home page two days ago, which helpfully alerts me to various data relevant to my Record Cell central nervous system. 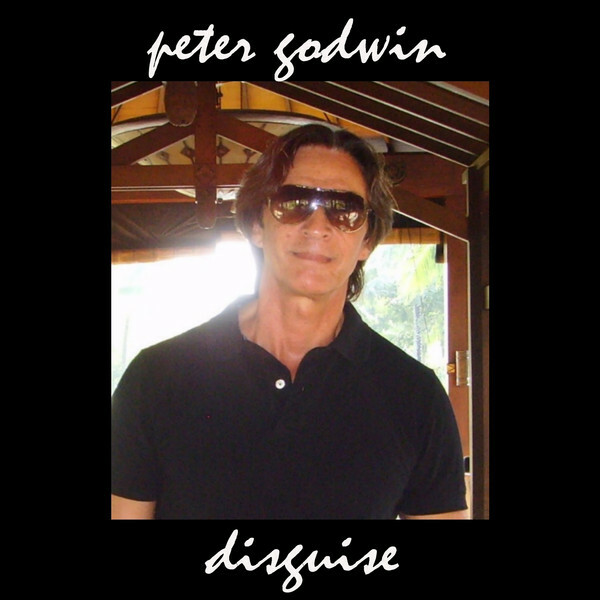 Lo and behold, it trumpeted a new download single by Peter Godwin, one of my personal favorite artists who is clearly not known for his prodigious recording output over the last 29 years or so. Barring a best of that got released on Oglio Records in 1997, which was heralded by the “Rendezvous” single, this is his first solo recording under his own name in 15 years. He certainly looks tanned and rested on the download’s “cover” as shown above. True, his new group, Nuevo released a download only album last year which marked the beginning of his collaboration with producer Johnson Somerset, but being a non-corporeal form of music, it’s still on my “must buy this” list and frankly, it always gets crowded off the queue by actual physical musical products. I’m just stating the sad facts. This single is another collaboration with Somerset as his co-writer and producer. Since I don’t have the Nuevo album, I can’t say how this might differ, since it’s under his own name this time. I can say this is a sophisticated, atmospheric effort that slots in nicely adjacent to Somerset’s other productions over the years for a certain Mr. Ferry. The track begins an atmospheric, windblown plain as cybernetic crickets chirp subtly in the background. Godwin makes his entry awash in a sea of reverb, imparting a paradoxical sound to the song that simultaneously manages to invoke expansive vistas and also an impossibly intimate space for it to unfurl languorously in. Fender Rhodes piano and synth bass propel the evasive melody forward and shockingly, a touch of vocoder appears on Peter’s backing vocals about halfway through. The song’s dissolute melody always doubles back on its inorexible pulse forward as fostered by the deliberate rhythm programming. Subtle washes of guitar appear at the fringes of the song to only recede as soon as you notice them. It’s quite a beguiling effort that doesn’t quite sound like too much from the Godwin canon over the years. As I said up front, it sounds redolent of the productions Somerset has recorded for Bryan Ferry on the likes of “Mamouna” or “Olympia.” Fortunately, Godwin still sings like himself and he would never indulge in Ferryisms that others have been known to indulge in. I’m talking about you, Davies/Kerr/Sylvian/fill-in-the-blank. The end product sits comfortably on a shelf with most of the cuts on Ferry’s “Windswept” EP – just without the added £800,000 worth of session men! The download is available basically everywhere, so you should have no problem buying a copy if you’re so inclined. The end result is yet another of the many pleasures that Peter Godwin can deliver, this time wrapped up in an enigmatic production that withholds as much as it delivers. More, please! This entry was posted in Core Collection, Record Review and tagged Peter Godwin. Bookmark the permalink. That was a very tempting review! Had to download it! Amazon beat the price by .40!! Worth every penny! I really love how Godwin and Somerset have found a beautiful electronic/Indian atmosphere on Disguise. I have to agree, it is wonderful that Peter Godwin still sounds like Peter Godwin. Some artists take eons to release material and you wish they really hadn’t bothered us with it. Others find their voice, make their record and we are richer for them finding a way to release it. and they say if it sells well enough, there will be more to come. If I goaded you into buying, then my work is done, ha ha!